Between 1916 And 1926, Istanbul’s Muslim residents – male and female, rich and poor -- began killing themselves at a quickly rising rate. Following a decade of fighting – the Balkan Wars, World War One, and the ensuing Greek-Turkish conflict – statistics show a jump in the number of documented suicides in all of the city's districts. It is a tragedy whose specific Turkish dimension has not been adequately discussed in the growing body of excellent work on the Ottoman experience of the Great War. As historians have come to recognize the ideological and political continuity between the late Ottoman Empire and the early Turkish republic, they have also, somewhat paradoxically, become increasingly aware of the enormous social and demographic upheaval that reshaped Anatolia during WWI and the Turkish War of Independence. Historians now reject the traditional Kemalist narrative that insisted on a clean break between the Republic and its Ottoman past, but instead highlight the transformative nature of demographic events like Muslim migration from the Balkans, the Turkish-Greek population exchange and the Armenian genocide. Istanbul’s suicide epidemic stands at the intersection of these two historiographic trends. People in Turkey at the time seem to have been aware of it: today’s images are from an article on the subject published in the Turkish Anthropology Review in 1927. 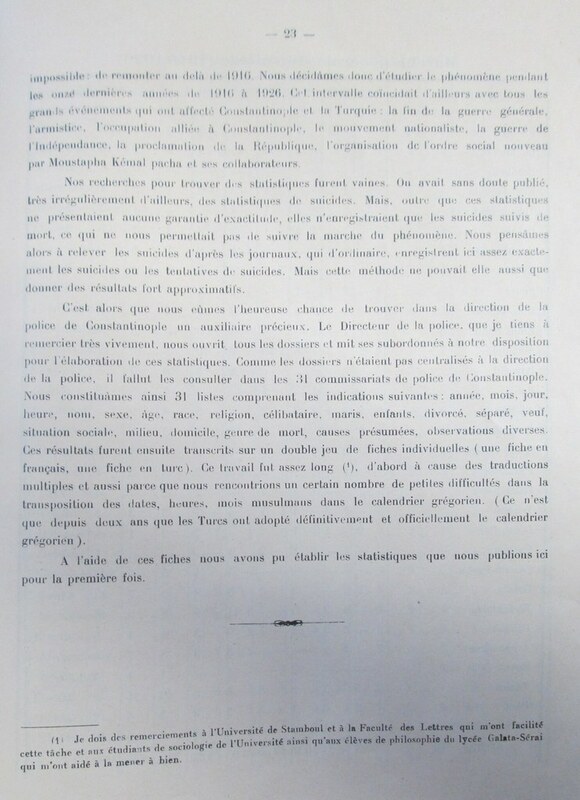 At least one document in Turkey’s Republican Archive also alludes to it, following the suicide of a Turkish ambassador. But at the same time, the early Republican narrative – focused on building a new, forward-looking nation following a triumphant defense of the homeland – would have been hard pressed to incorporate this particular tragedy. As we look back on the Great War today - while also confronting the enduring toll of more recent conflicts - we should consider the fate of those who survived the fighting, but were victims of the war all the same. I hope if nothing else this post will be useful in bringing this issue to the attention of scholars working on the First World War. 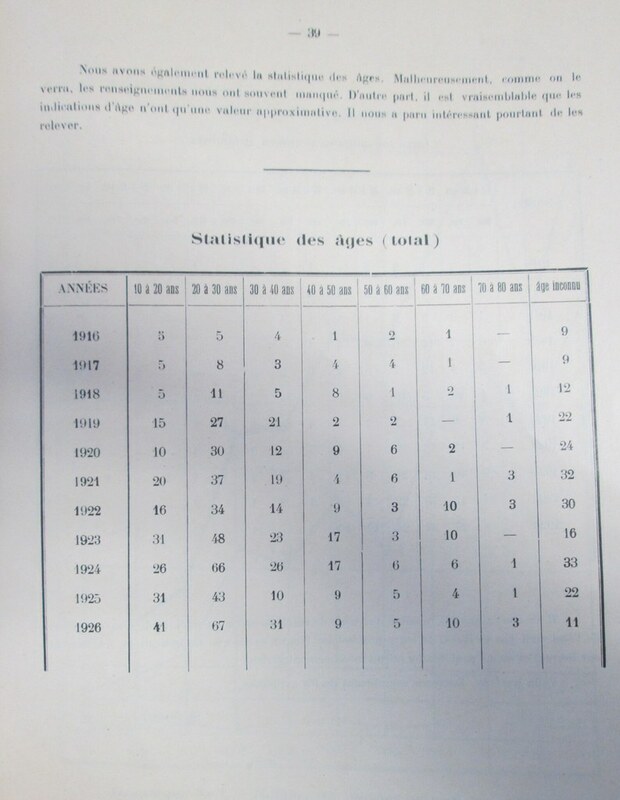 The statistics below are from an article that appeared in the September 1926 issue of the Revue Turque d’Anthropologie (no. 3), published in Istanbul by the Institut Turc d’Anthropologie. I wish I’d photographed this entire article when I had the chance, but I’m posting the images I have. Finally, Fatih Artvinli has been kind enough to provide an extensive bibliography on this topic, including several works that deal with the specific topic of women's suicide in this period from Toplumsal Tarih. Yucel Yanikdag's Healing the Nation also provides a more general look at psychological trauma in the First World War. 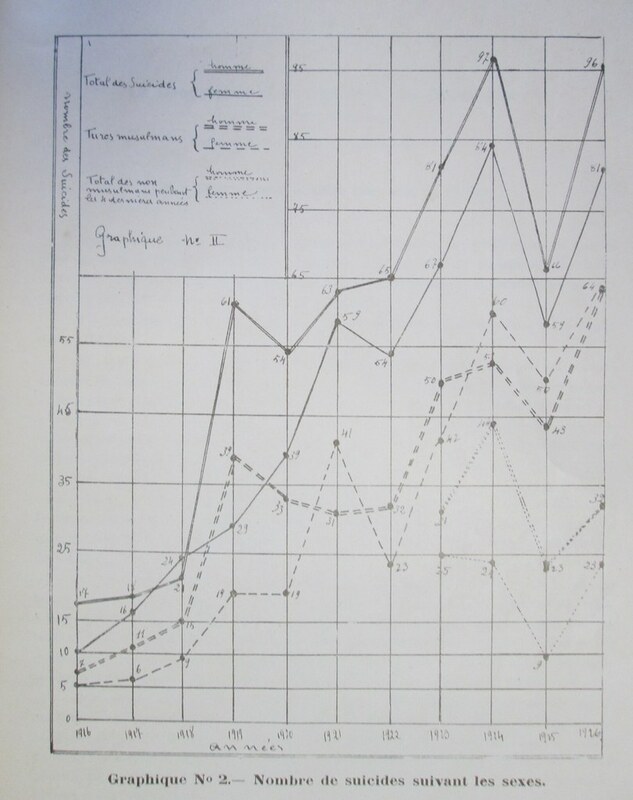 Erken Cumhuriyet Döneminde Kadın İntiharları: Islah, İnkâr, İskât [Women Suicides in the Early Republican Era: Reform, Denial, Silencing], Toplumsal Tarih [Social History], no. 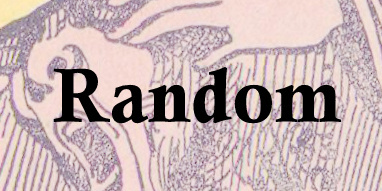 188, August 2009, pp. 60-66. Zafer Toprak, Doktor Cemal Zeki'nin "Delişmen, Çılgın Kızlar"ı Cumhuriyette Genç Kız ve Kadın İntiharları, 2001 (87):25-30. ERGİNBAŞ Vefa (2003) “Lizol, Bıçak ve Tentürdiyot: Cumhuriyet’in İlk Yıllarında İntiharlar”, Tarih ve Toplum, Haziran, Sayı 234: 13-20. ŞENOL Nurullah (2003) Suicidial Tendencies: Culture of Self-destruction in OttomanSociety (İntihari Eğilimler: Osmanlı Toplumunda İntihar Kültürü), Boğaziçi Üniversitesi, Yüksek Lisans Tezi. 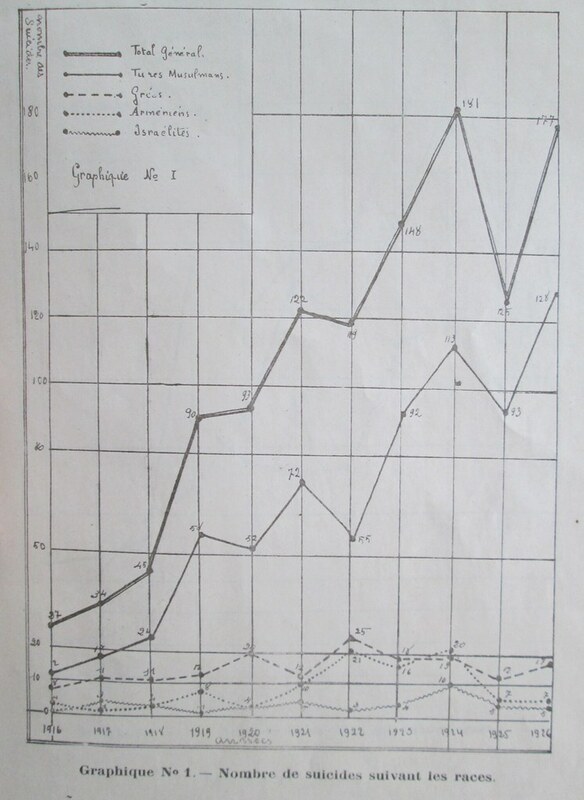 Dr.Cemal Zeki, Genç Kız ve Kadınlarda İntihar: İçtimai, Tıbbi (Suicide among girls and women: Social, medical), İstanbul: Kader Matbaası, 1927. 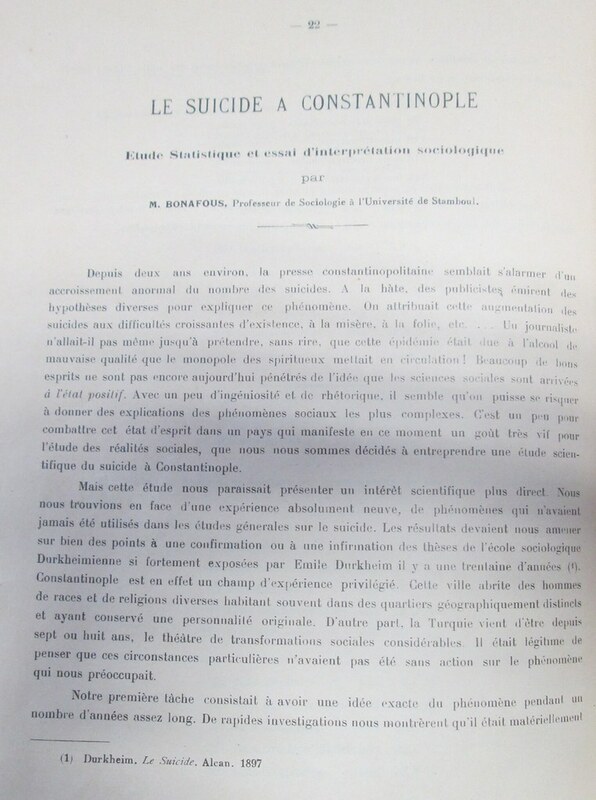 Fahrettin Kerim Gökay, Türkiyede İntiharlar Meselesi [Issue of Suicides in Turkey], İstanbul: Kader Matbaası, 1932.